Ballet Level 4 continues to develop the classical dancer with emphasis on more complex barre and center work. Adagio, pirouettes and grande allegro. PLEASE NOTE THAT THERE HAVE BEEN SCHEDULE CHANGES. THE FOLLOWING SCHEDULE IS EFFECTIVE TUESDAY, SEPTEMBER 4TH! *Dancers 11 years by December 1, 2018 with 4 or more years of ballet should evaluate in Ballet IV. 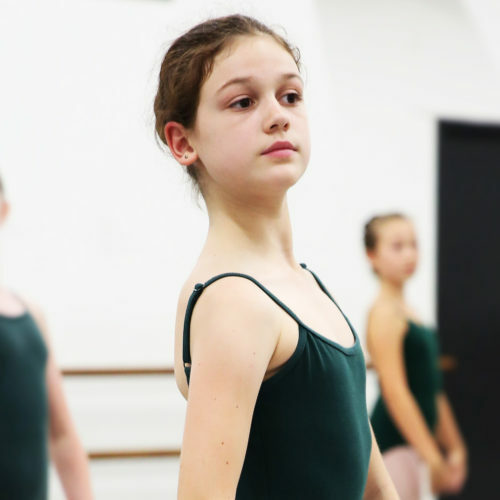 Dancers 11 years old by December 1, 2018 with less than 4 years of ballet should evaluate in Teen Ballet. **Full time is recommended and requires 5 classes per week not including jazz. Part time requires 3 classes per week. Part time students may not participate in pre-pointe. *Full time is 7 classes per week not including jazz. Part time requires 4 classes per week.